A Day in the Life of a Super Mom: A Mommy Blog: Thomas the Tank Engine is COMING!!!! Thomas the Tank Engine is COMING!!!! So my first blog of the day is coming a little late today because my angel, Adrian, spilled some Crystal Light on my laptop, but thank God for my fab iPhone 4S! 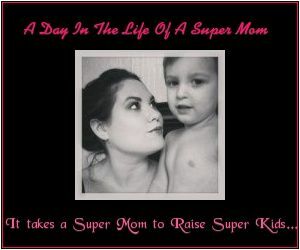 This blog isn't called "A Day in the Life of a Super Mom" for nothing! If it's not a possum in the house trying to threaten my sanity, it's broken down electronics and cars doing the job! But on a happier note, Thomas the Tank Engine is coming to Cordele, Ga! My laptop-pulverizing son is gonna be so happy! Tickets are $18.00 and I believe that children 1 and under are free. Parking is also free. Click the links below or call 1-877-427-2457 for more information. Cordele Welcomes Thomas the Tank Engine! Find out when Thomas will be chugging to your area! Now if you happen to take the little ones to any of the Thomas events, I would love to post some photos of y'alls "Day out with Thomas"! I may even pick the best pic and send the winner a Starbucks gift card!